Crazy Weather? There’s a Book for That! It seems the weather has just been so crazy this year! Recently, a new weather term (to non-weather experts, anyway) was being tossed around – derecho. This refers to a widespread, long-lived, straight-line windstorm that is associated with a fast-moving band of severe thunderstorms. The damage a derecho causes is similar to a tornado. The swath of wind damage has to be 240 miles long and have wind speeds of 58 miles per hour or higher to qualify as a derecho. Conditions were very favorable in the middle of June for a derecho to occur in the Midwest. The potential existed for 70 million people being affected. 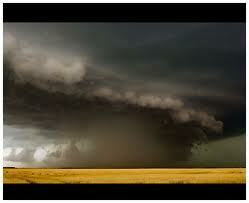 In June of 2012, a derecho caused 13 deaths and caused $1 billion in damages. ended in Stamford. Another EF0 touched down in Enfield and an EF1 tornado (wind speeds from 86-110 mph) touched down in East Windsor, Windsor and Windsor Locks causing considerable damage. 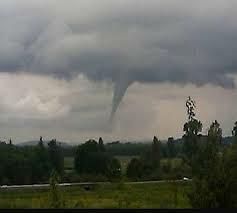 On July 19th, an EF1 tornado started in Andover, then Coventry and ended in Mansfield. The Cheshire Library has many books about weather. They can be found in the Adult non-fiction section under the Dewey number 551.6 and in the Childrens’ section in the same Dewey section.